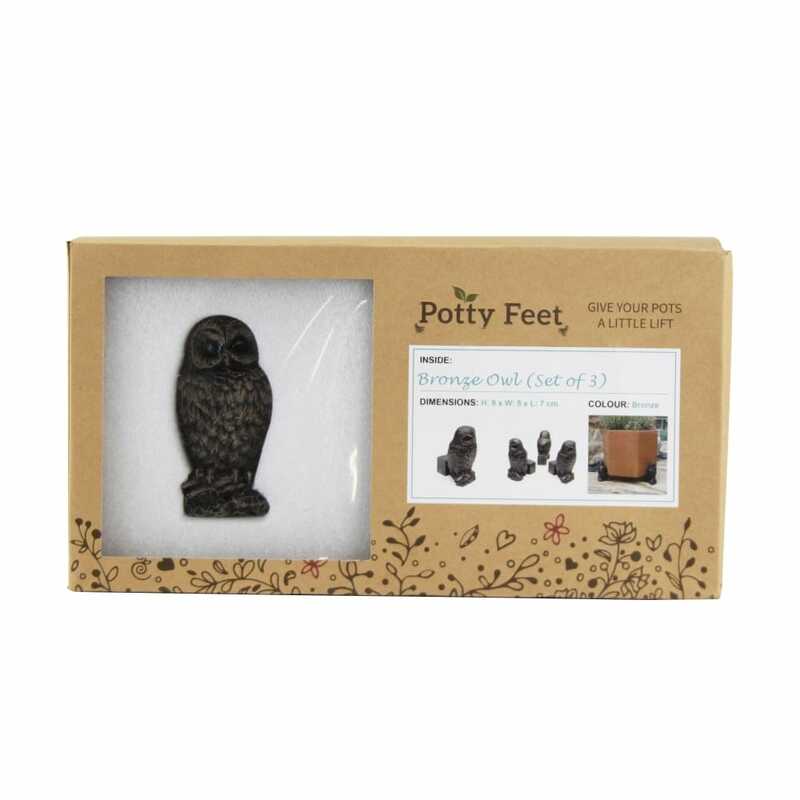 Give your plant pots a little lift with the bronze owl plant pot feet set, these have been designed for Potty Feet and are made from a durable weatherproof SGS certified poly resin. It is hand painted in an antique bronze colour that meet the highest safety and environmental standards. The owls are a set of 3 so that your plant pot stands evenly balanced on any surface whether in your home or outside displayed beautifully on your decking or patio.